Guarantee the searcher will find the “best” results because there is often no agreement on what the “best” result is for a particular search. That’s because evaluating results can be very subjective. Also, users generally enter only a few terms into a search engine, and there is no way for the search system to understand the user’s intention for a search. In fact, if the user is doing an initial exploration of a topic area, the user may not even be aware of his or her intention. A system that understands natural language (that is, the way people speak or write) perfectly is usually considered the ultimate goal in search engine technology, in that it would do as good a job as a person in finding answers. But even that is not perfect, as variations in human communication and comprehension mean that even a person is not guaranteed to find the “right” answer, especially in situations where there may not even be a single “right” answer for a particular question. Some search engines, Full text searching provider try to solve, or at least mitigate, these challenges. 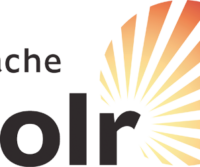 Solr search can be used as a replacement for core content search and boasts both extra features and better performance. Faceted search is supported if you use the facet API module. Facets will be available for you ranging from content author to taxonomy to arbitrary fields. Add multiple Solr Search cores and query them so you can optimally connect to the one of your choice. Ideal to have multiple facet configurations. These query types, in combination with Facet Api Slider, delivers a very rich faceting experience delivers to the end user. TheBigJobs.com A Job portal build using Drupal CMS. Using solr to index & search jobs posted on website. Akademika.no is a Norwegian online book store with focus on students and school books. 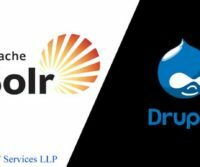 Built with Drupal, and Solr powers the search through the Drupal Solr plugin.